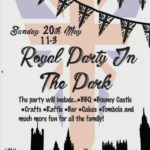 Royal Party in the Park – Sunday 20th May 11 – 3pm BBQ, Bouncy Castle, Raffle, Tombola, Crafts, Bar, Cakes and much more fun for all the family! 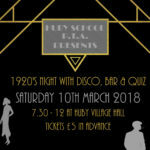 Tickets now on sale for Huby PTA’s 1920’s fancy dress quiz and disco at the village hall on Saturday March 10th from 7.30pm. Everyone welcome!! 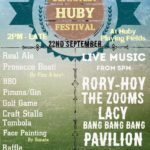 Tickets £5 in advance from Barkers of Huby. 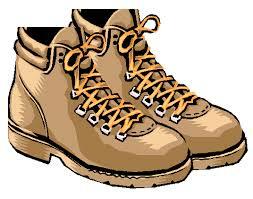 Don’t forget it’s the Huby panto next week! 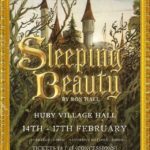 Sleeping Beauty is on at the village hall from Wednesday 14th February until Saturday 17th February. 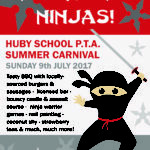 Tickets available from Huby village shop. The Village Hall committee invite you to another afternoon of bingo and afternoon tea on Saturday 1st April. 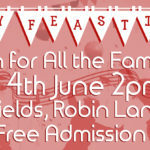 Its great for all ages, with the fun and excitement of bingo, and lovely homemade cake and refreshments.